The online marketing platform creator Placester put together a very useful infographic on how to maximize your experience at conferences. As enjoyable as the entire piece was, sometimes nothing beats a good synopsis. 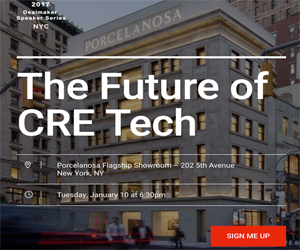 Due to this, we condensed what we thought were some of the most informative takeaways, and added a tech spin in certain cases when necessary, for this list of advice on how to get the most out of your CRE tech event experience. Take to Twitter– Ask your Twitter followers if they have any specific questions about the event you’re attending before you go. Use the appropriate hashtags and mentions in your tweets when you’re referencing the event. This is a good way to boost your engagement with other professionals in the sector, while at the same time drawing ideas and products to your attention that you may have never have stumbled upon otherwise. Come up with good questions– Prepare questions for the conference speakers in advance. You have certified experts right in front of you, so not taking every opportunity to learn from them is a huge mistake! Don’t waste everyone’s time by ad-libbing a question (unless the speaker makes a comment that really sparks something of interest in you). Overall, the best approach is to have a series of thorough, relevant questions prepared in advance. Do it live!– Live blogging the best speeches and demonstrations will draw interest to yourself as a passionate industry professional who is on top of the latest trends. Include pictures and video if possible. You can write a reflective post on a particular speech after the fact if it inspired you, but the more current you are with your online presence, the better. Think of the team– Contemplate the things you’ve learned and the connections you have made. Could these new developments stand to benefit any of your coworkers? Bring your phone charger– This may seem ridiculous, but it’s critical. Whether you want to take down the number of someone you just hit it off with, double check the conference agenda or snap a few pictures, you won’t be able to do any of these things with a dead phone. Carrying around a charger in your pocket (if you don’t plan on bringing a bag) might seem a little awkward, but don’t let your vanity stand in the way of practicality! Be image conscious– As mentioned before, the importance of having photos and video on cannot be stressed enough if you want to truly capitalize on the buzz from the event amongst a targeted audience. People are visual creatures and pictures/videos are the best way to add depth and texture to your representation of the conference experience. If you do it right, you will be incrementally enhancing your credibility with each post you make! Show up early – Aside from getting a good seat, showing up early puts you in a position to interact with others who care enough about the event to show up early themselves and if by chance you do meet someone, you should have a little time to get to know each other. Some say that the definition of luck is when preparation meets opportunity. Show up early and you may be “lucky” enough to make a worthwhile connection with someone.